The service in memory of the football legend was held at St Mary’s church in Watford, the town whose team he took to the top of the game. A thousand mourners and stars from the world of football attended the funeral of former England, Watford and Aston Villa manager Graham Taylor. 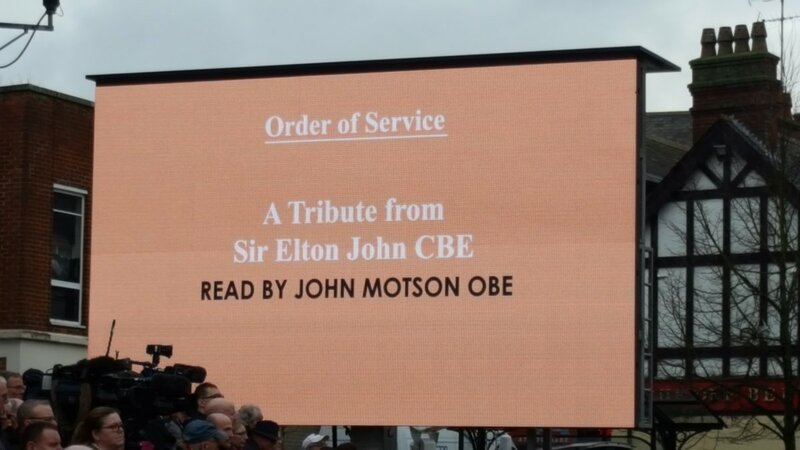 BBC commentator John Motson read a tribute from ex-Watford owner Sir Elton John who was not at the funeral. Sir Alex Ferguson, Arsene Wenger, Former England players John Barnes, Luther Blissett and David Platt and Watford captain Troy Deeney were among those who gathered at the funeral in Watford. His coffin was brought in by six pallbearers, with flowers reflecting the colours of Watford Football Club. The Union Flag covered his coffin, on which his OBE was placed. St Mary’s Church in Church Street, Watford, service for the former Villa, Watford and England manager’s funeral on February 1st, at 1pm, and was followed by a private family committal later that day.